Father’s Day is right around the corner. On such occasion as Father’s Day we celebrate to honor our beloved dad. 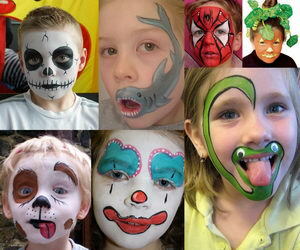 Are you still on the lookout for cool and creative ideas to make your hero feel extra special. 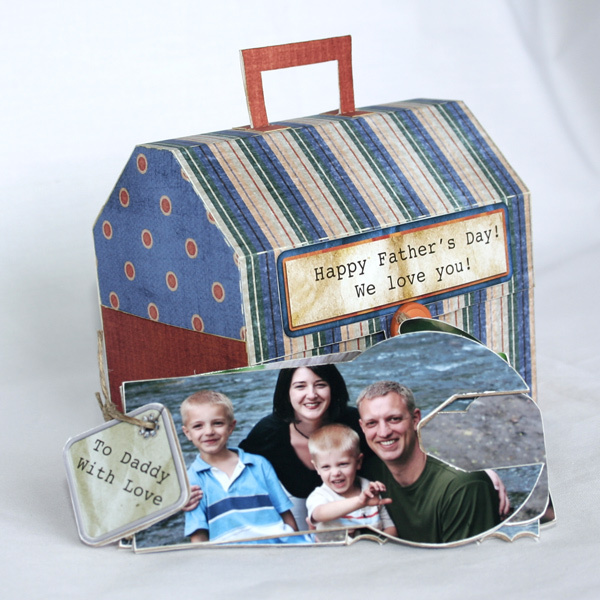 You can bet nothing would touch father’s heart than gifts handmade by their loved children. Here we selected carefully more than 50 gift ideas and all of them are homemade. 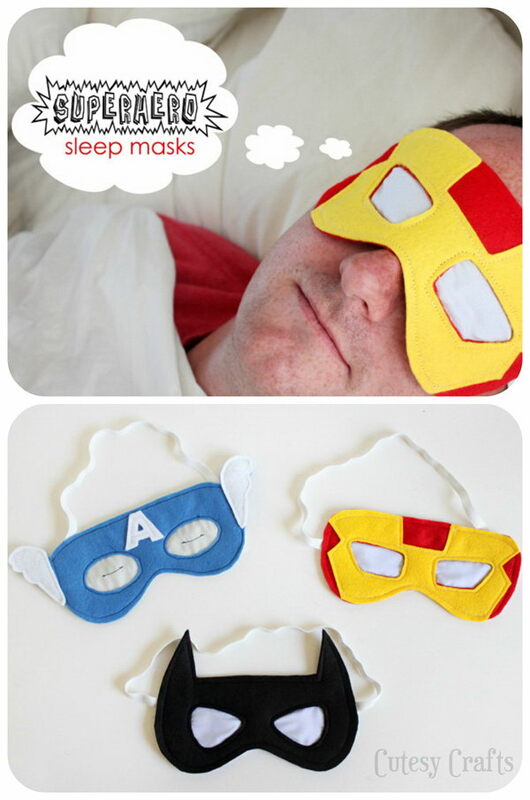 It’s never too early to get started on preparing gifts for the superhero in your heart. 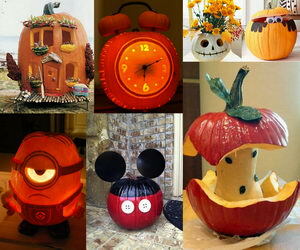 Check out all of the creative ideas below and choose one project according to his liking. For example, what’s Dad’s favorite color, hobby, sports, needs, personality or food? 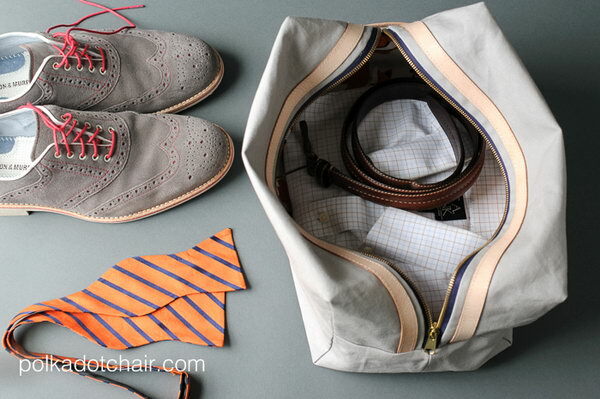 And plan the perfect combination of utility and finished look. I’m pretty sure there’s more than one project you can’t wait to get start with. And you’ll find how much fun it will give you to turn one. What’s more, you can find all the tutorials by clicking the source button. 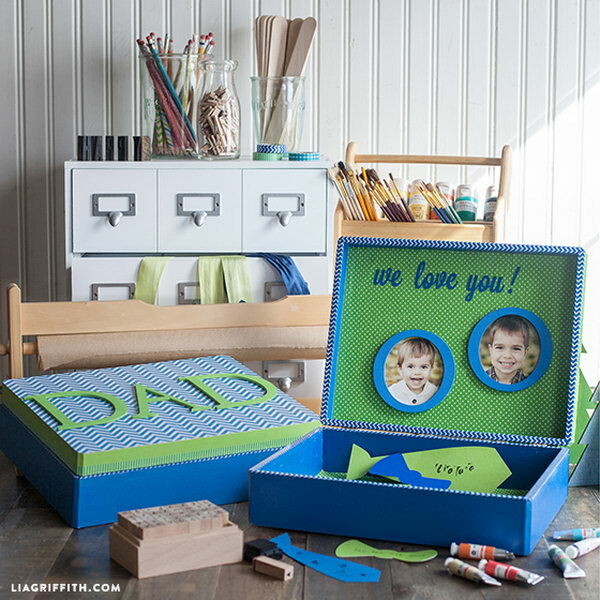 Wish you make a special gift for Dad that is sure to touch his heart. Make use of those random nuts and bolts that you have in your garage to create a such an awesome craft. 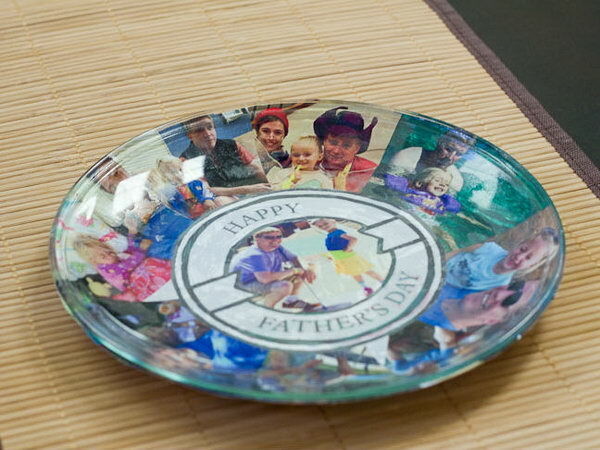 This would be a brilliant gift for dad for so many important dates! Get the tutorial here. 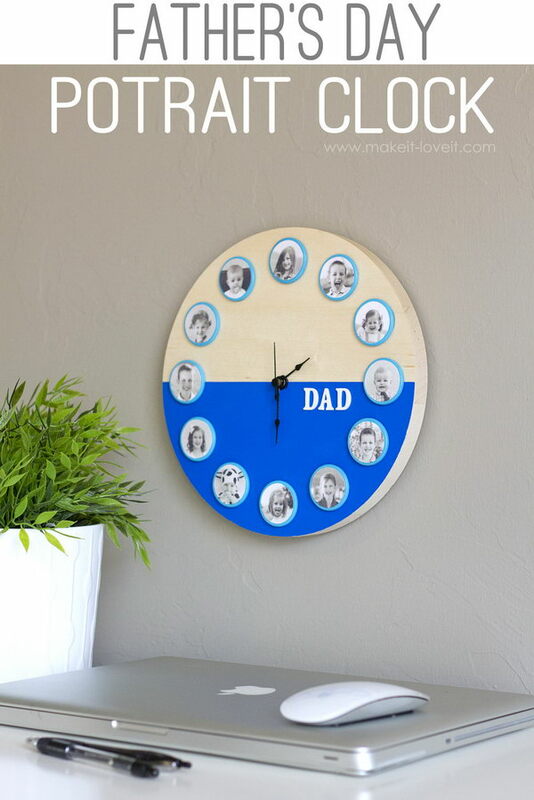 What a lovely and sweet Father’s day portrait clock gift that would double as a wall decor. See the tutorial here. 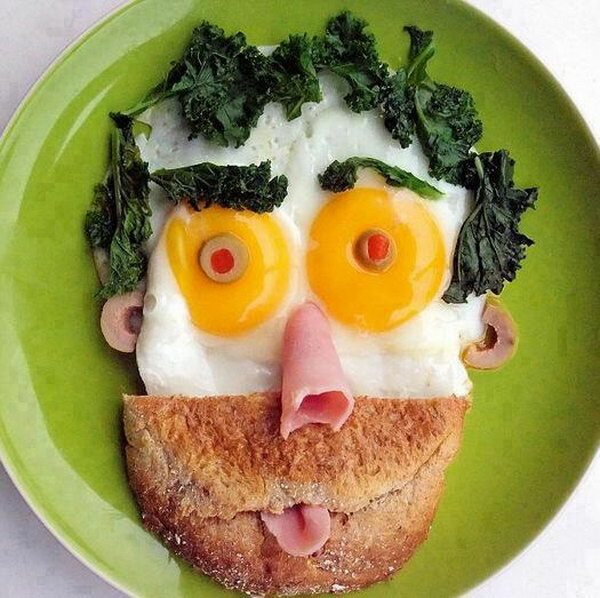 Feed your Dad with funny, healthy, silly and creative breakfast and make him laugh from the morning of the special day. See the easy tutorial and learn step-by-step here. 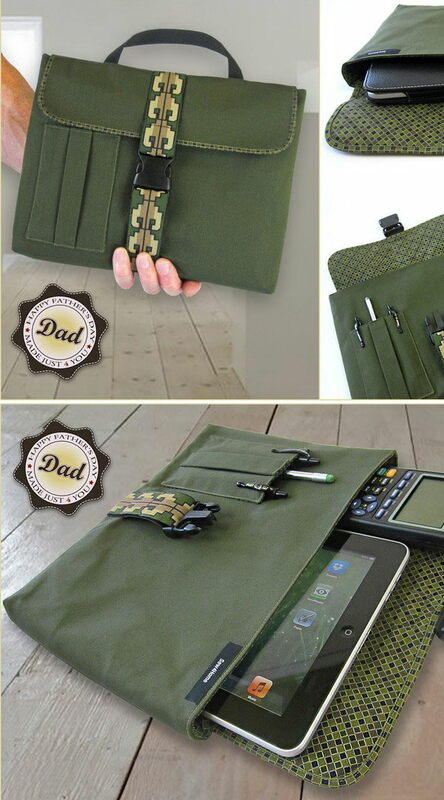 You can learn how to make this perfect gift for Dad with fabric step-by-step here. This cute gift is easy to do with children. 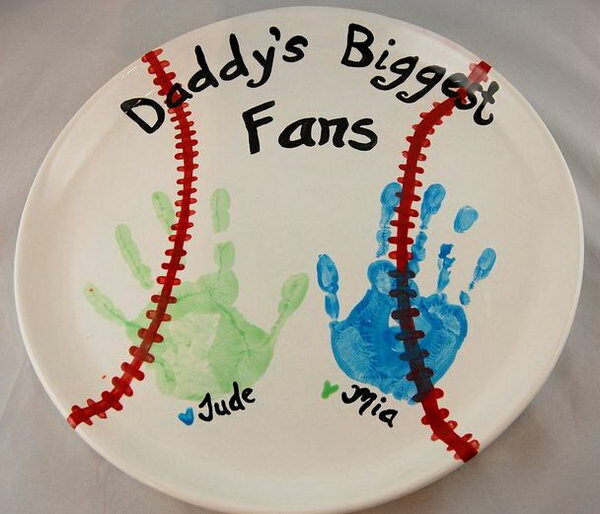 The words show their love to Dad and the little handprint are really sweet for any kind of father. See the how-tohere. 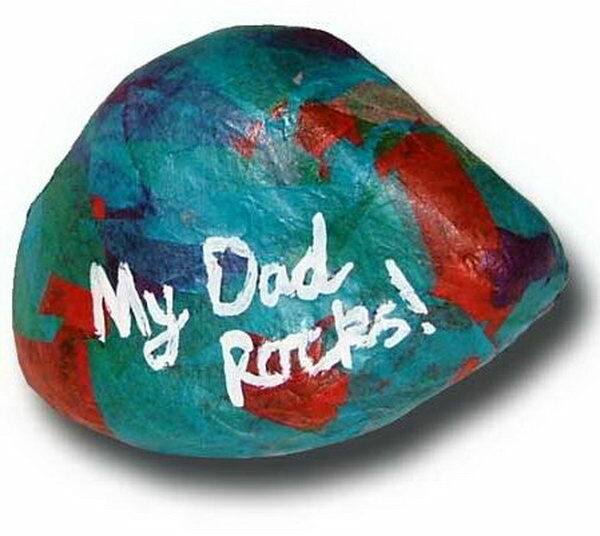 This colorful handmade Dad rocks paperweight looks like so much fun to make. You can do it in any color and add different words to the rock. Get the tutorial here. 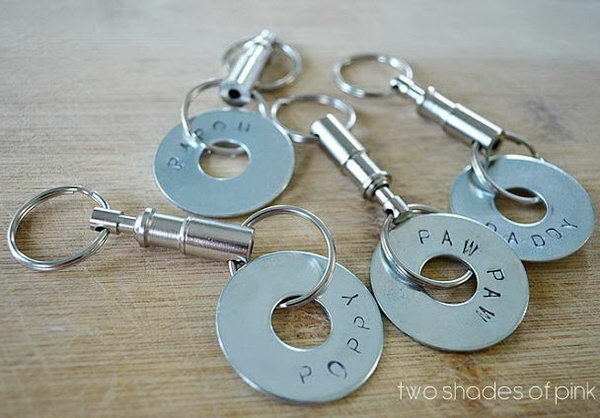 Make a keychain for Dad to take all the time. Ask your kids questions about Daddy and write down exactly what they say. 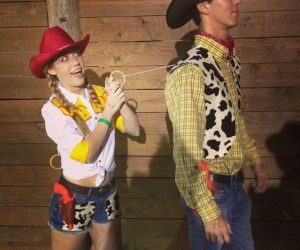 This would make the Daddy laugh for years to come. Learn how to dohere. Record everything you love the most about your father. 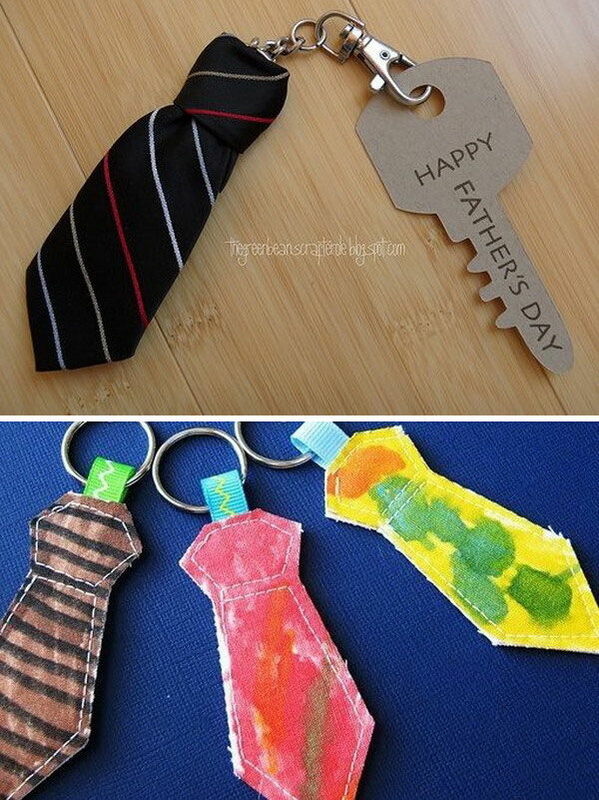 This craft idea is really unique and different which can touch your Daddy’s heart. Get start with the directionshere. 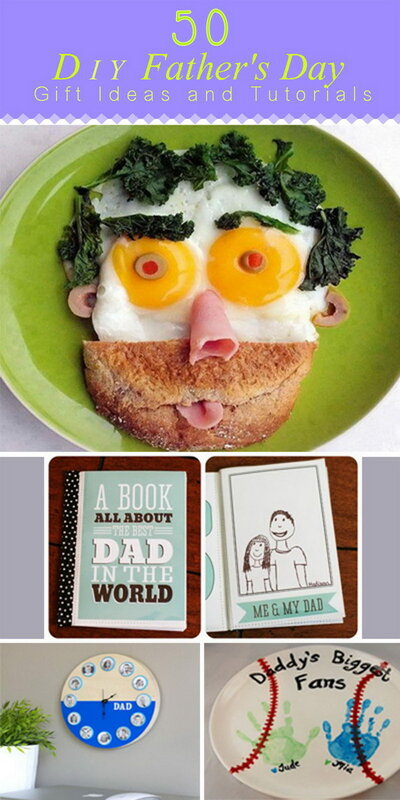 It’s a traditional way to show your love to Dad by making him a Father’s day card. 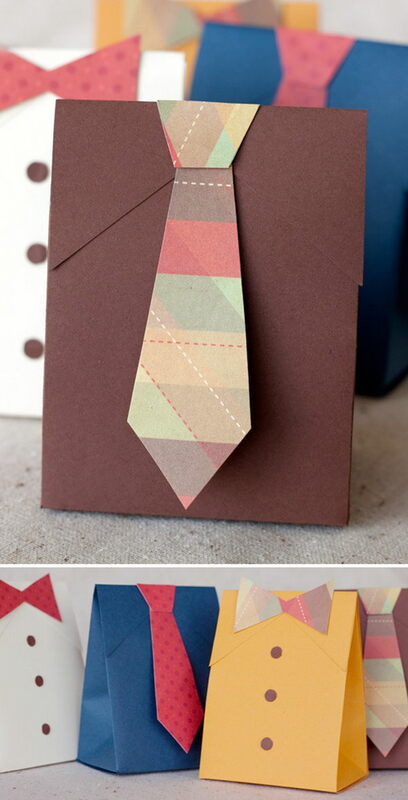 But this can be different if you add some idea like the clever folded letters card here. Great step-by-step here. 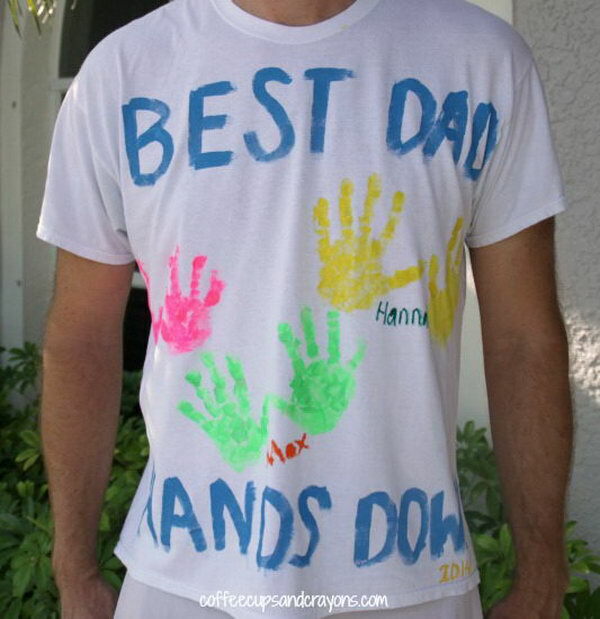 What cuter way give the big hero a T-shirt with letters and handprint from his loved children. Daddy could take with him wherever he go this summer. 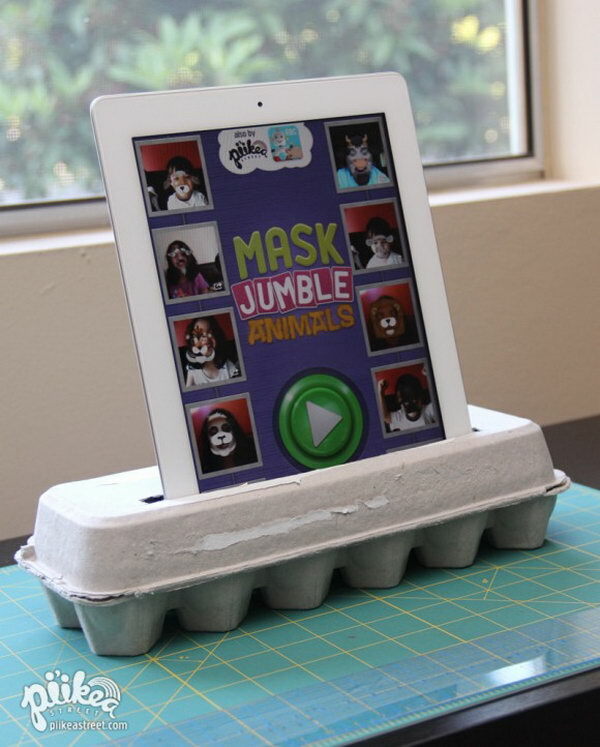 See the tutorialhere. The hot summer is coming and fathers love to walk around in the backyard with cold beverage in hand. 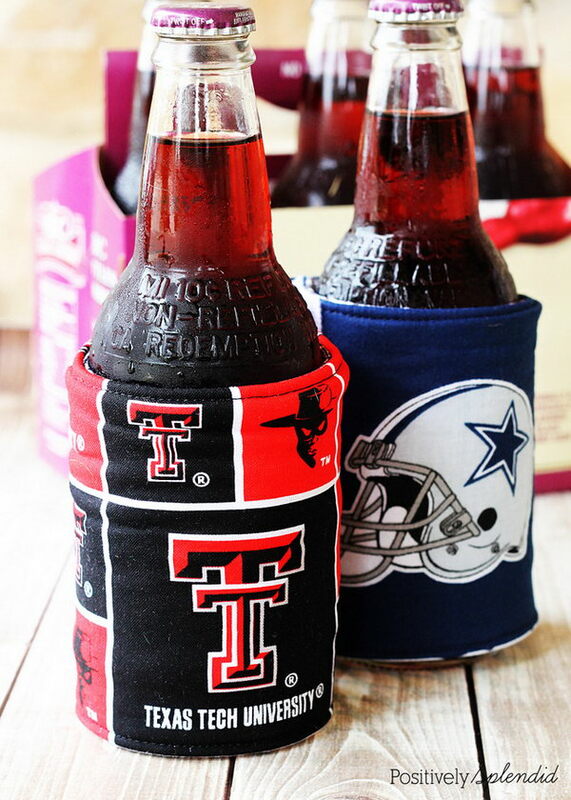 Make insulated beverage holders for Dad to keep his drink stays nice and frosty. See the tutorial here. 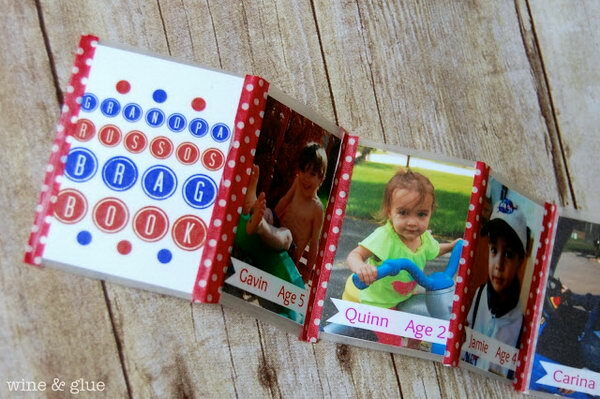 This easy to do gift can be personalized for anyone such as grandpas and daddies. Let me fill you in on all the details!source. Your Daddy can fix everything in your home but he always drop the tools everywhere. 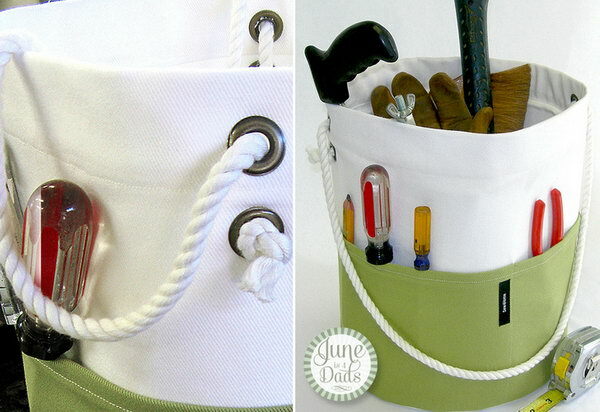 So this tools bucket tote is really helpful for him to keep all his tools in one place. 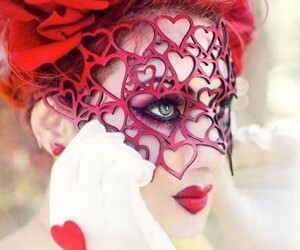 See the how to do here. Great gift for Dads who travels often. 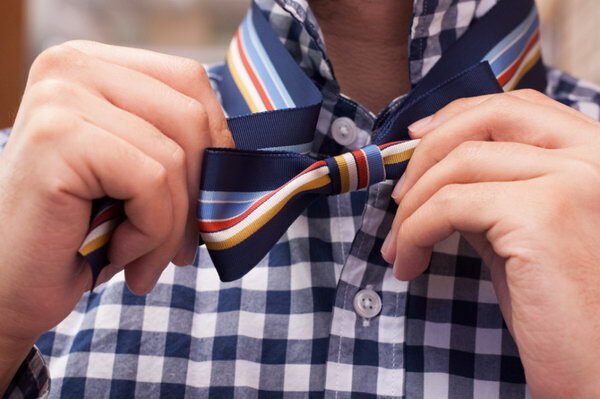 With this unique gift, your fashion-conscious father or husband will always be in style even on the travel. See the step- by- step tutorial here. 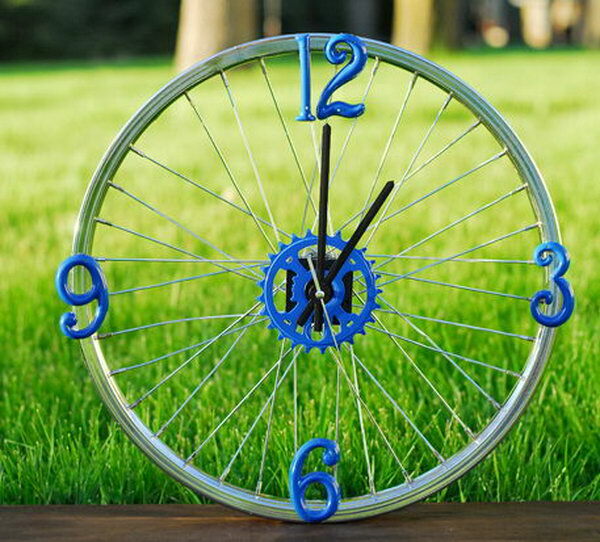 This project is so cool and would be a favourite of a biking enthusiast in your family. 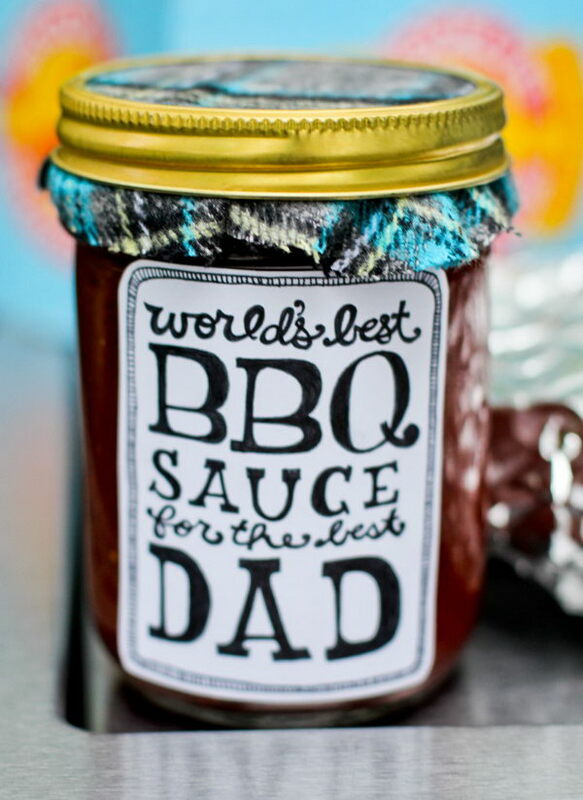 DIY one for Father’s day and make Dad feel extra special. See the tutorial show you how to make one. source. This beautiful mosaic coasters can be made with many materials like plaster, tiles and pebbles. 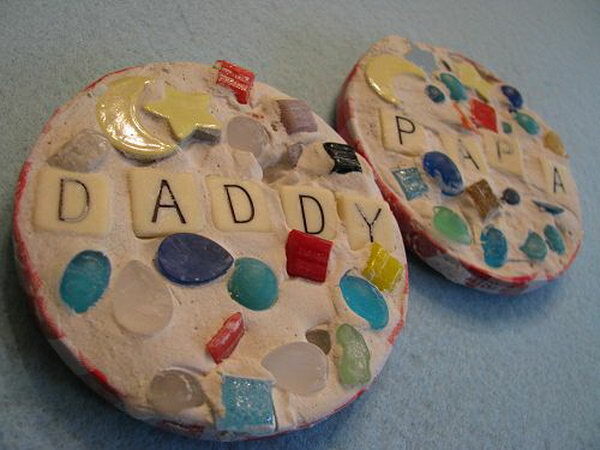 Kids can place words to show love to Dad on it. See the tutorial here. If your Dad is a big fans of sports, how about making him a ball cap organizer for his desk as a Father’s day gift. Learn how to do it here. 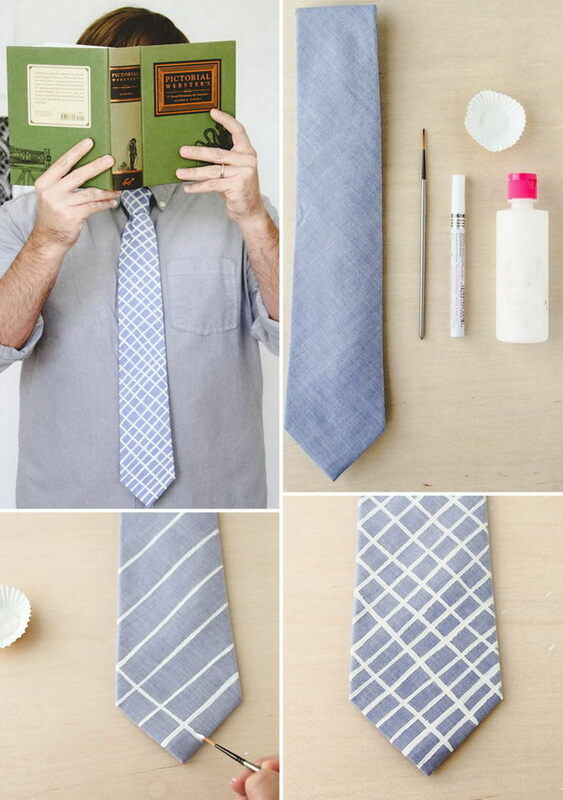 If you are still scrambling for a last minute DIY Father’s day gift idea because your Daddy is always in style. This would be great for you. 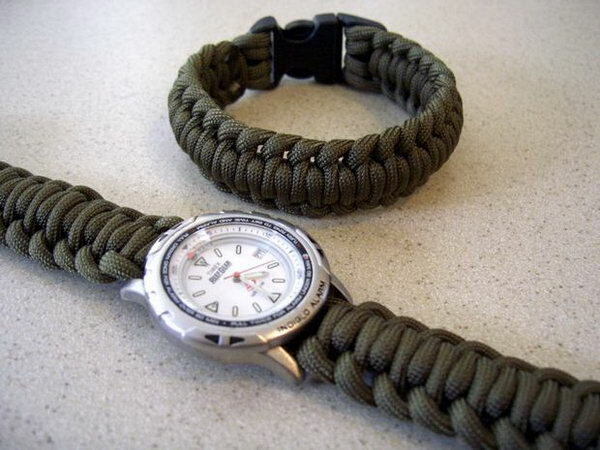 The stylish handsome paracords watchband is easy to make. Learn how to do it step-by-stephere. This easy to do gift can be personalized for anyone. Learn how to do it here. 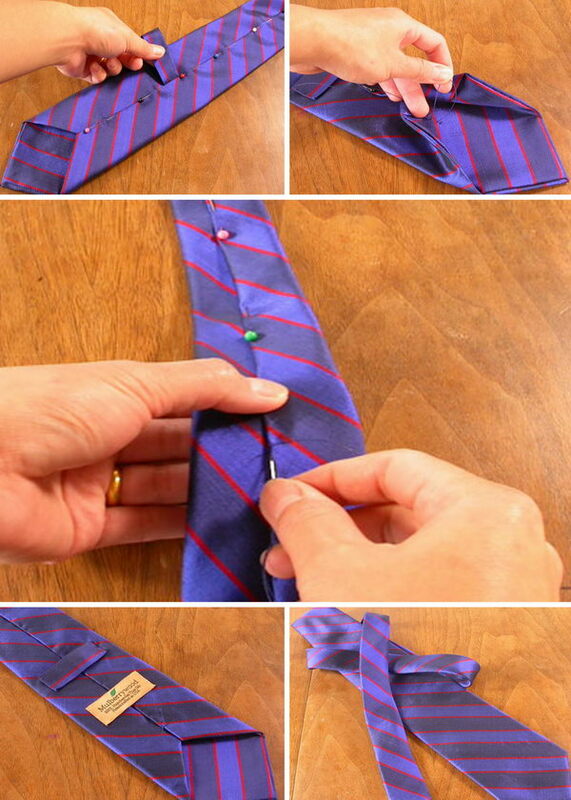 This would be a favourite of all the men in your family if you never did it before. Your father will wear it with pride. See the how to do it source. 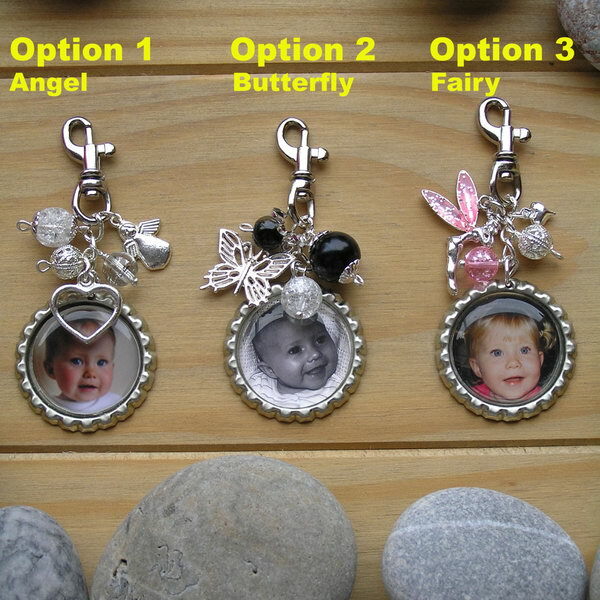 Daddy could take these cute tie key rings with him where ever he go. And they are very easy to do with children. Learn the tutorial here. 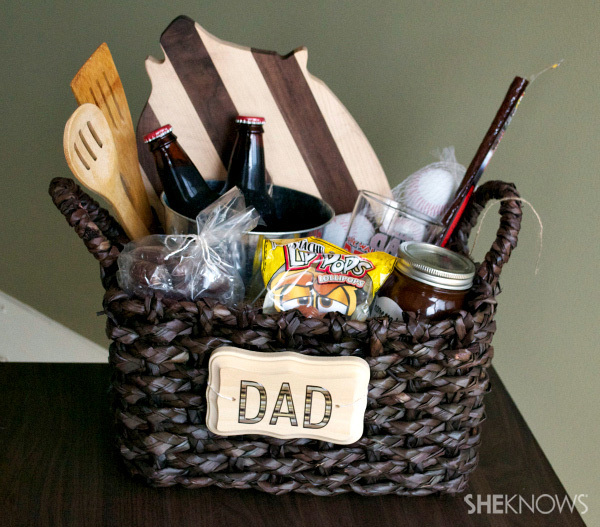 This quick Father’s day gift will surprise Dad with a basket of men-inspired goodies. See the how tohere. Dad is superhero to any kid. 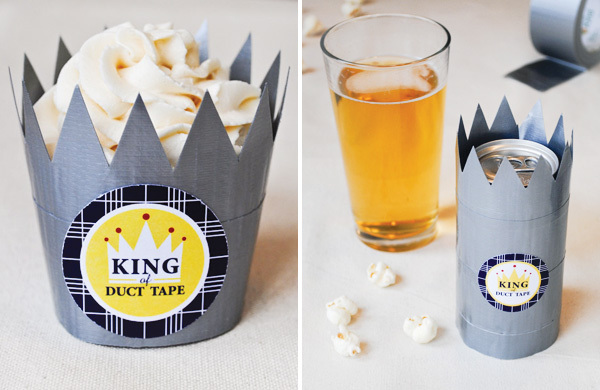 This is a easy to make coolest gift great for a dad’s afternoon relaxation. See the instructions here. Your Dad loves everything you make yourself. 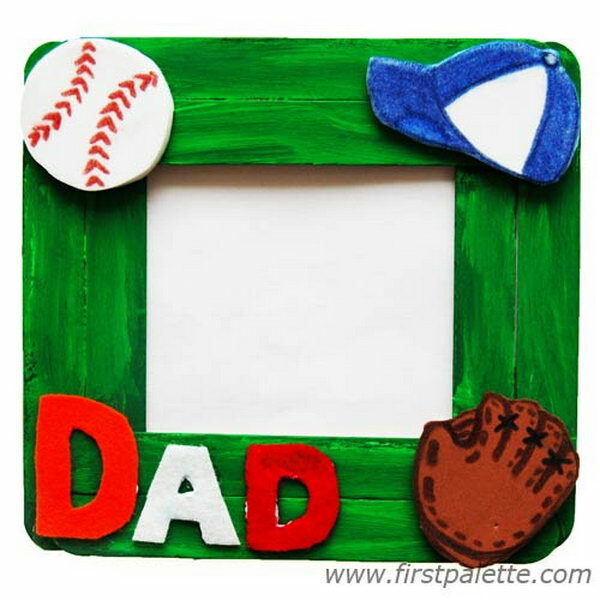 Give Dad your handmade frame and watch his facial expression change! ‘You made this?’ This would be a awesome Father’s day gift. See the tutorial here. Want hands free for your Dad an iPad stand is a necessity tool,which will help him to stabilize his iPad at an comfortable viewing and working angles.This is easy for the children to decorate with beautiful colors and characters to show their love for Dad. source. Proud grandpas and papas need to be able to show off their adorable offspring anywhere, any time. 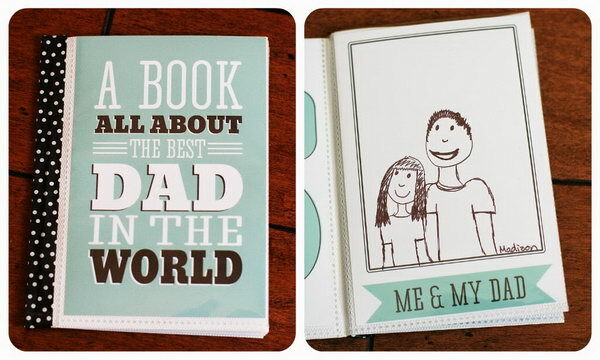 Learn how to easily make Dad his own brag book that he can easily fold up and fit into his wallet here. 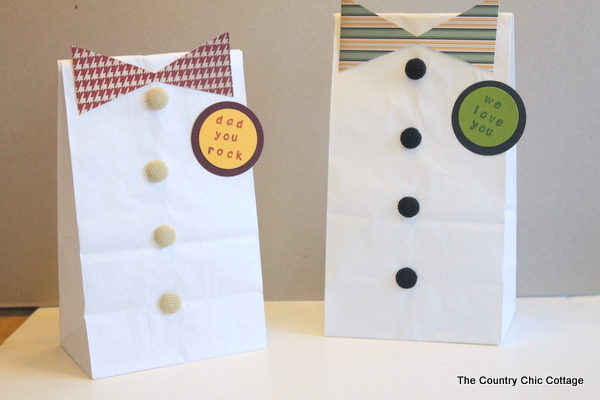 Simple cute gifts great for your Dad to put his favorite cupcakes and pretzels in. Learn how to dohere. If you need a gift idea for always in style father or husband, this would give you some inspiration. See the tutorial here. 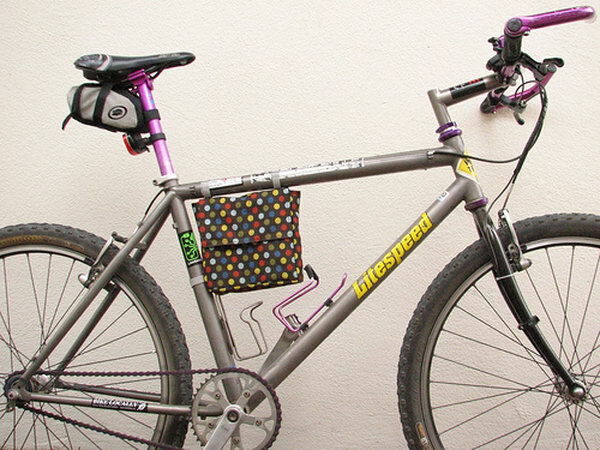 If your father is fond of bicycle riding, you can DIY a bicycle frame lunch bag for him to bring his lunch when he’s commuting or just going to the park. See how to do it here. 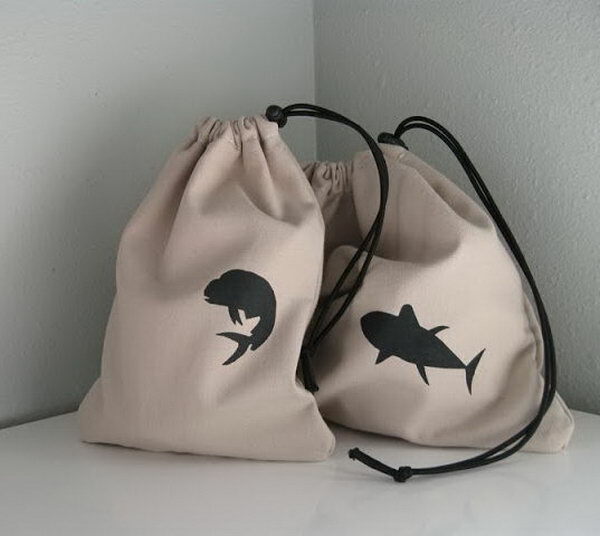 If the men in your family have strong liking on fishing, then make this fishing reel bag for them. This is also a great gift for Father’s day. Learn the tutorial here. 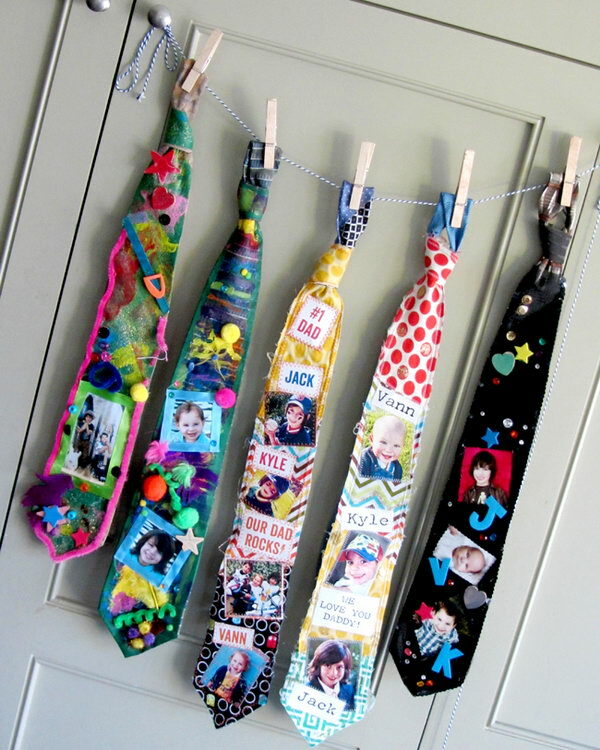 For Father’s day gift, handmade ties would be a great idea. And it’s very simple to do. Learn how to do it here. What a great show box filled in love notes. I love this idea to tell how much father means to kids. Learn the tutorial here. If you want to do something interesting for Dad with your LEGO on this Father’s day. 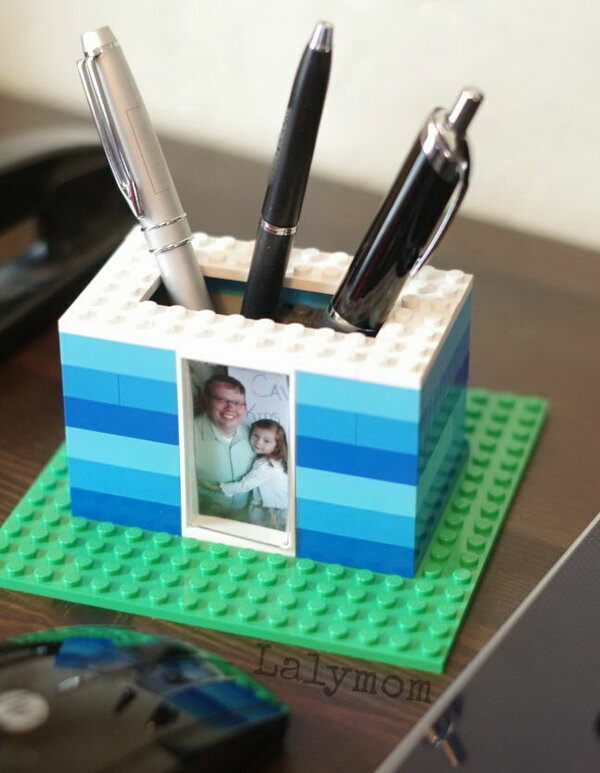 This kid made LEGO photo pen holder will absolutely inspire you. Learn the tutorial here. 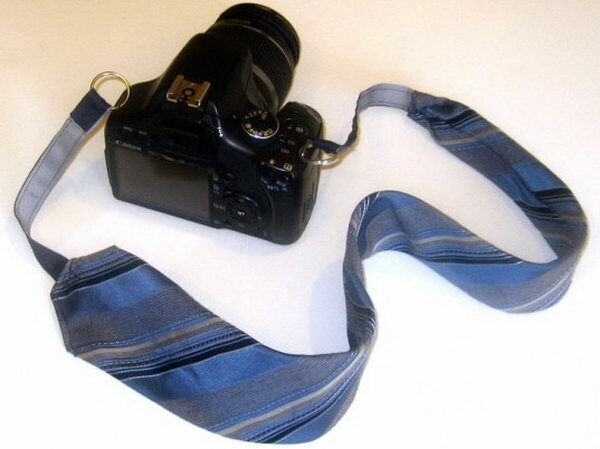 I love the idea recycling a necktie into a camera strap for Daddy very much. Learn how to do it here. 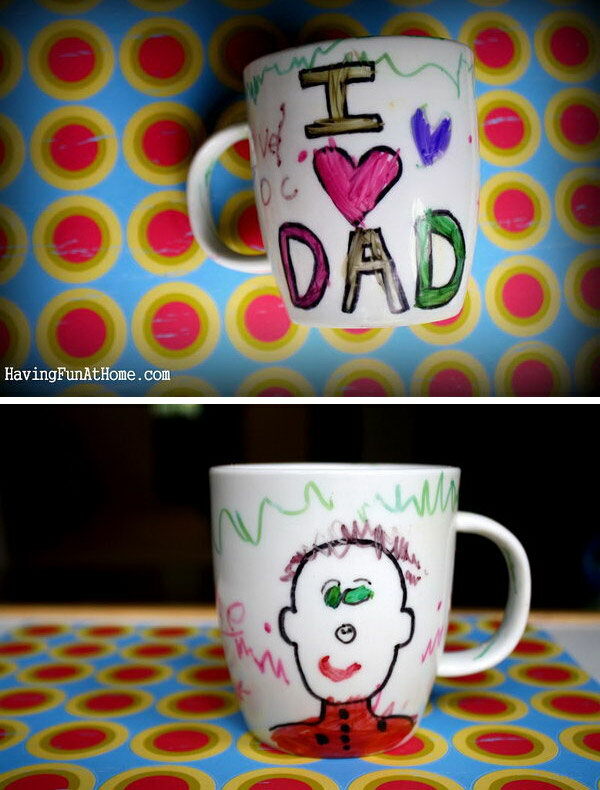 Cute gifts for Daddy made by children. Learn the tutorial here. 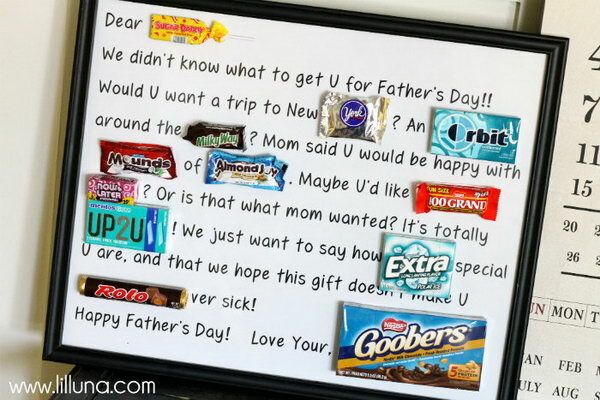 Use the candy bars to make a poster as a creative gift to show how much you love your Daddy. Learn the tutorial here. 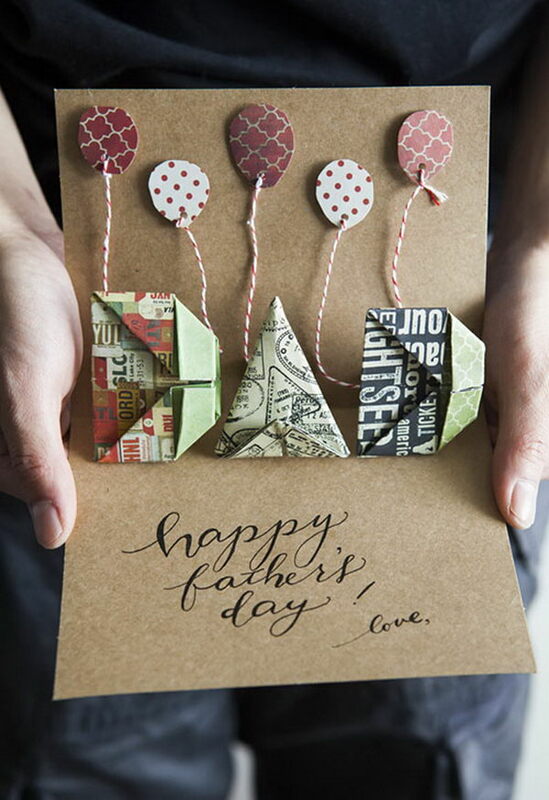 This card is easy to make by kids for Father’s day gift that would double as decor for Father’s Day. Learn the tutorial here. 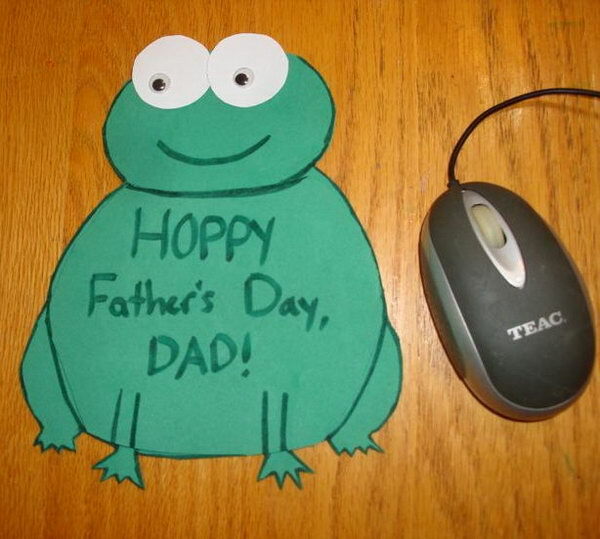 What a cute frog mouse pad your father can use everyday. Really thoughtful gift. And it’s also very simple to make. See the tutorial here. 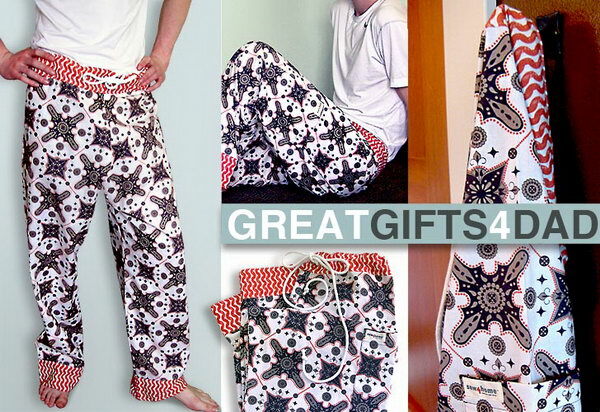 Cargo pocket PJ pants comfy pajama pants are perfect for your Daddy’s Father’s day gift. See the how to do it tutorial step-by-step here. If your Dad likes to grill, let him cook up a storm. And this is a perfect gift that incorporated some of children’s personal touches. Learn the tutorial here. Fun sharpie muds made by kids are been hot for a while now. 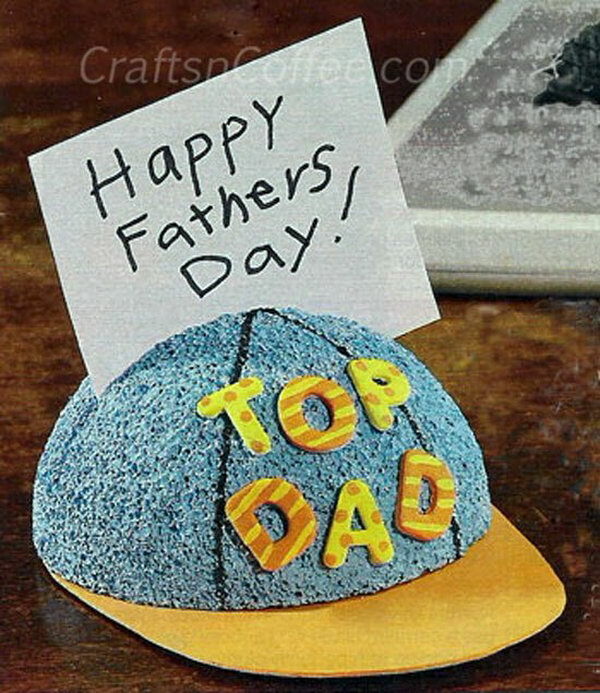 And for this Father’s day, you can make one to treat your loved Dad. The method is very simple. Get start with the tutorial here. A iPhone holder is useful for your Daddy to free his hands and enjoy the time to watch a video. 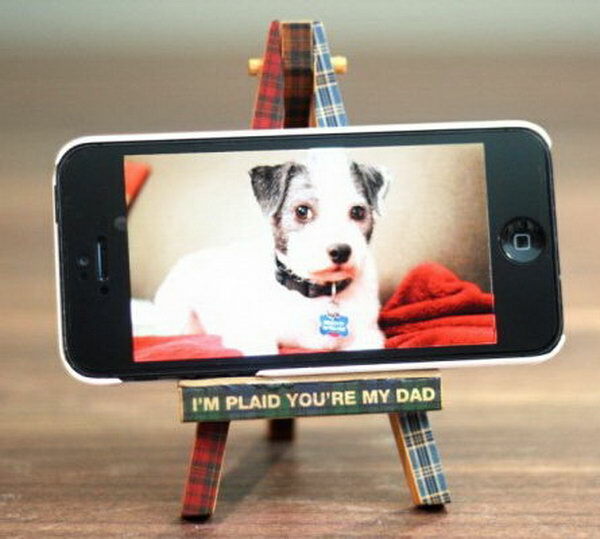 Learn how to do this simple but cute iPhone holder here. Great useful gift for dad’s weekend relaxation year round. Learn the tutorial step-by-step here. 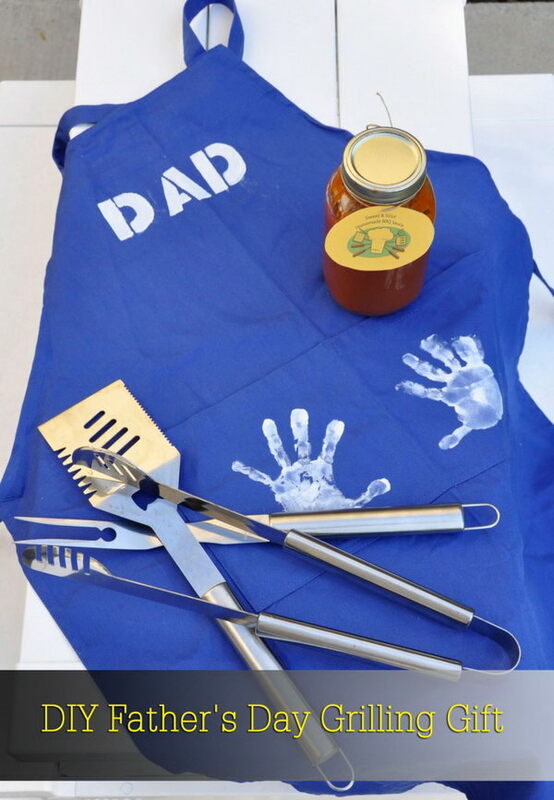 Treat your Daddy with tasty grill treat on Father’s day. As dad is usually the person using the BBQ – why not make the space that much more interesting for him and the whole family. Learn the tutorial here. 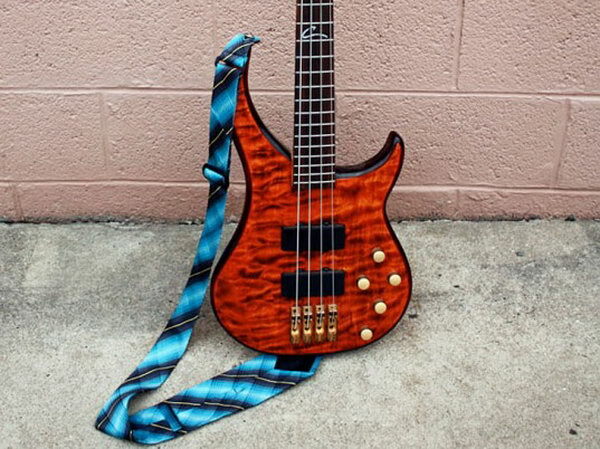 This fabulous guitar strap made with recycled neckties is by far my favorite. Because it’s both useful and cool. Learn how to do ithere. 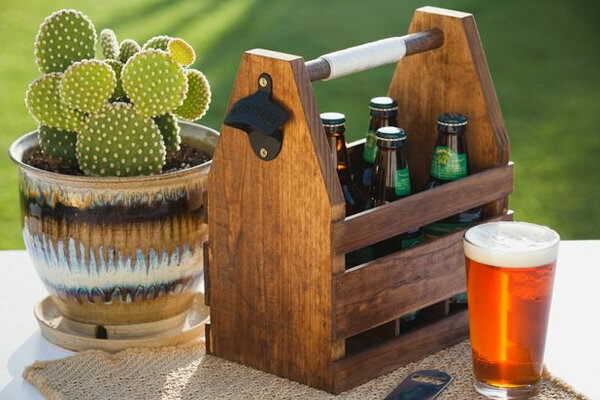 This DIY wood beer caddy is great for Daddy’s summer BBQS and a personalized gift for this coming Father’s day. And I love the wall-mounted bottle opener so much. 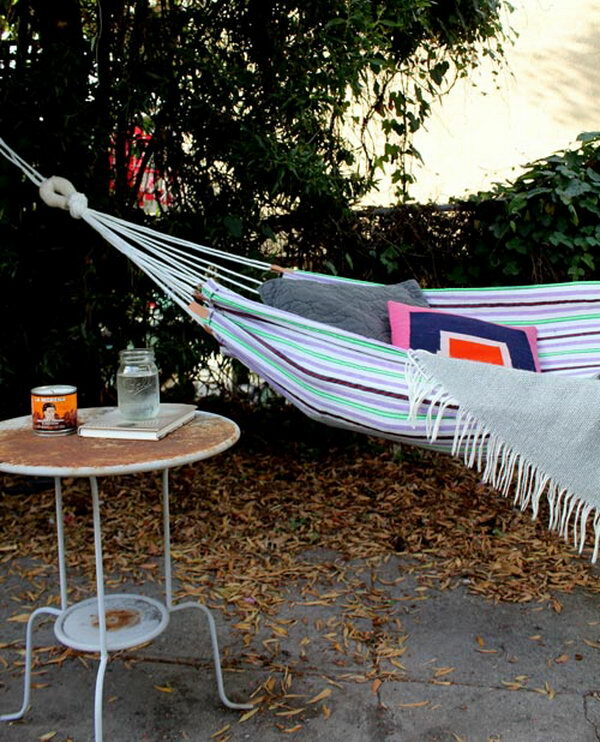 What you need to do is giving it a lift by decorating this with beautiful colors or drawing. Learn the tutorial here. This might be excellent cool. I’ve been appearing via a bunch online and additionally really preferred this excellent variation. You should be a part of a contest for one of the best websites on the net.